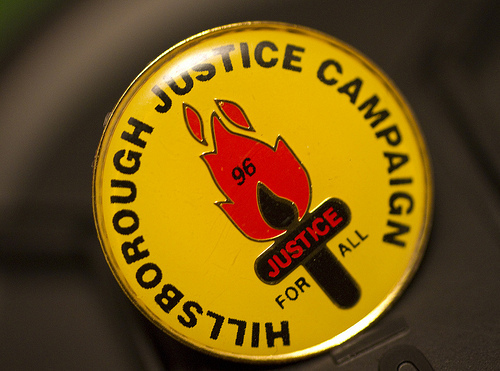 As Jared Ficklin wrote on The Conversation website, the verdicts returned at the inquest into the Hillsborough disaster of 1989 completely vindicate the 27-year campaign for justice resolutely undertaken by the families of the 96 who died. The verdicts, which will surely have far-reaching consequences for the South Yorkshire police, found that those who died were unlawfully killed and that a series of failures by the police and ambulance services contributed to the tragedy. 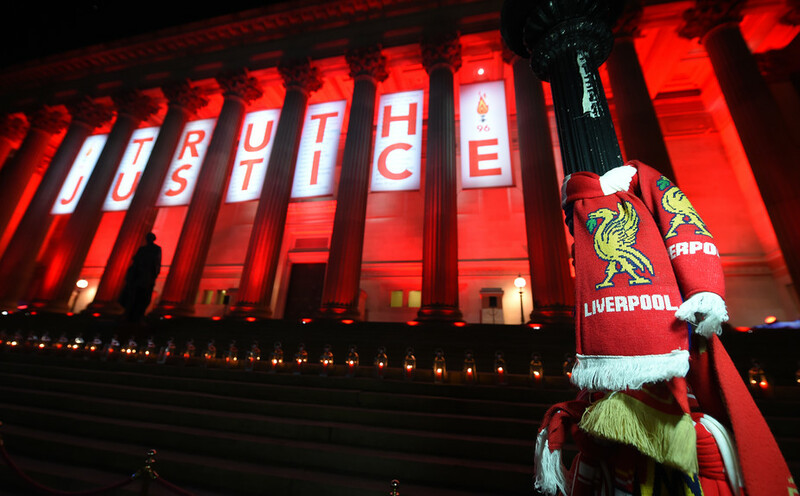 The jury also unanimously agreed that the behaviour of Liverpool supporters did not contribute to the horrific events. 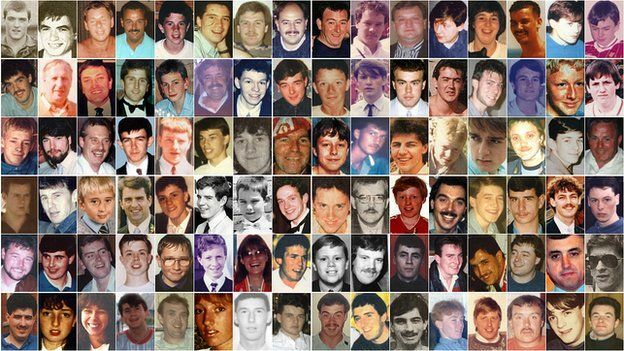 After the decisions were made public, the prime minister, David Cameron was moved to say: "All families and survivors now have official confirmation of what they always knew was the case, that the Liverpool fans were utterly blameless in the disaster that unfolded at Hillsborough." And, when we consider Aspinall’s sentiments concerning the media and the fact that both The Sun and The Times, in isolation, originally chose not to cover the verdicts on their front pages the following morning it’s impossible not to think about how the tragedy was originally reported by The Sun. 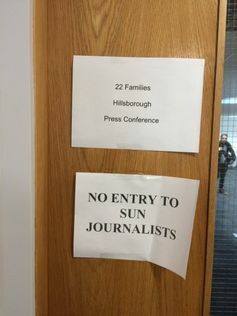 In their book about The Sun, Peter Chippendale and Chris Horrie describe the atmosphere inside The Sun’s newsroom in the Hillsborough era under the editorship of Kelvin Mackenzie. 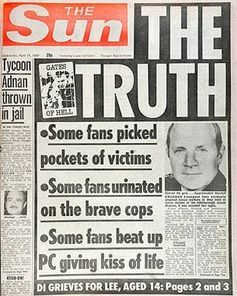 It was a place, they write, of terror – where the editor’s personality dominated to such an extent that even though there were grave misgivings about the accounts of what happened at Hillsborough (none of the allegations, of course, were attributable) journalists felt intimidated and powerless to object to the terrible smears. Harry Arnold, the reporter whose by-line appeared next to the story along with John Askill, told the BBC in 2012 that when he saw the article ready for print he was “aghast”. He said: "The fact is reporters don’t argue with an editor. 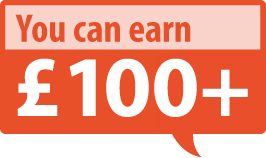 And in particular, you don’t argue with an editor like Kelvin Mackenzie." It’s worth pointing out, though, that various other newspapers were culpable in peddling the narrative of supporter misbehaviour and criminality. The Daily Express, for example, on April 18 ran with the front page headline, POLICE ACCUSE DRUNKEN FANS. Football Fanzine When Saturday Comes did a round-up of some of the headlines including the Sunday People’s: BODIES SPIKED AS CRAZED MOB FLEE. Such reports must be seen in their political and social context. 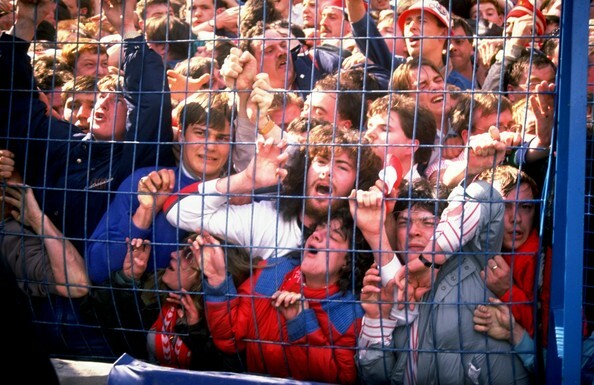 The subject of football hooliganism had great currency in the late 1980s and, as Jemphrey and Beddington point out, Liverpool as a city had been subject to continual negative imagery and bad press from the national newspapers in general. Hooliganism as a cause of the tragedy was the accepted “wisdom” in the aftermath of events – and not just in the tabloid press. 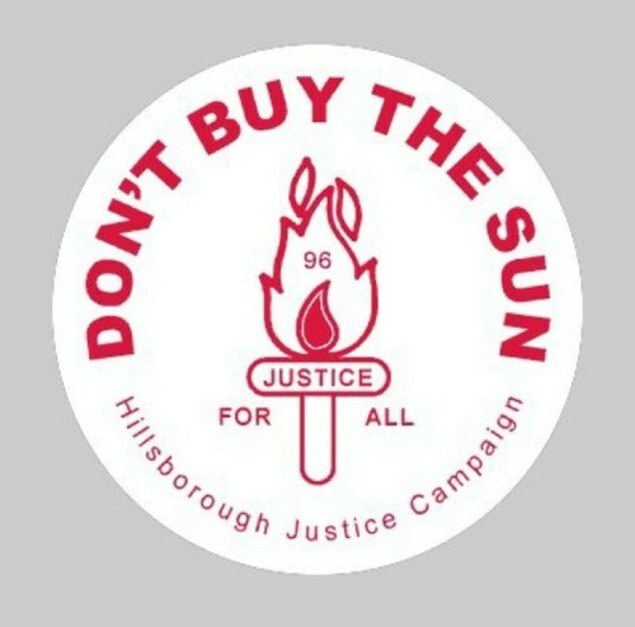 Yet it is The Sun that remains most closely associated with the lies and disinformation perpetuated around the Hillsborough tragedy. There are a number of reasons for this. It’s because of the apparent certainty of the THE TRUTH headline and the belated apologies; it’s because of the habitual cockiness of Mackenzie and his return as a Sun columnist. It may even be, as Mackenzie himself maintains, because The Sun was so pro-Thatcher – and the city in general was so vehemently opposed to a variety of Tory policies. But it is little wonder, reading once again The Sun’s accumulated coverage of the immediate aftermath of the tragedy, that the anger on Merseyside felt toward the paper since 1989, despite the seemingly grudging and belated apologies, has hardly subsided. 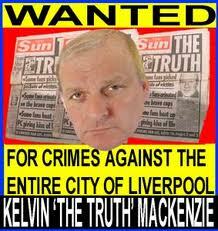 After the verdicts were announced, former Liverpool players called for the closure of the paper – and at the post-verdict press conference it became clear that Sun journalists were not welcome as they were asked to leave “quietly by the back door”. But what must not be forgotten or side-lined is the fact that, as Mick Hume wrote in Spiked in 2012, The Sun (and the other papers, for that matter) did not simply make up the slanderous and despicable stories they ran. They were wilfully fed false stories by the establishment and by police officers who have subsequently admitted their guilt. In truth, it’s not only The Sun but also other major newspapers who bear collective responsibility for failing in their duty to adequately investigate the terrible allegations before printing. But it’s the actions of The Sun, in it’s misplaced confidence and brazenness, which partially fuelled the campaign for justice, which lasted 27 years.